The problem with many scales that I’ve used in the past is that they don’t accurately weigh heavier foods. 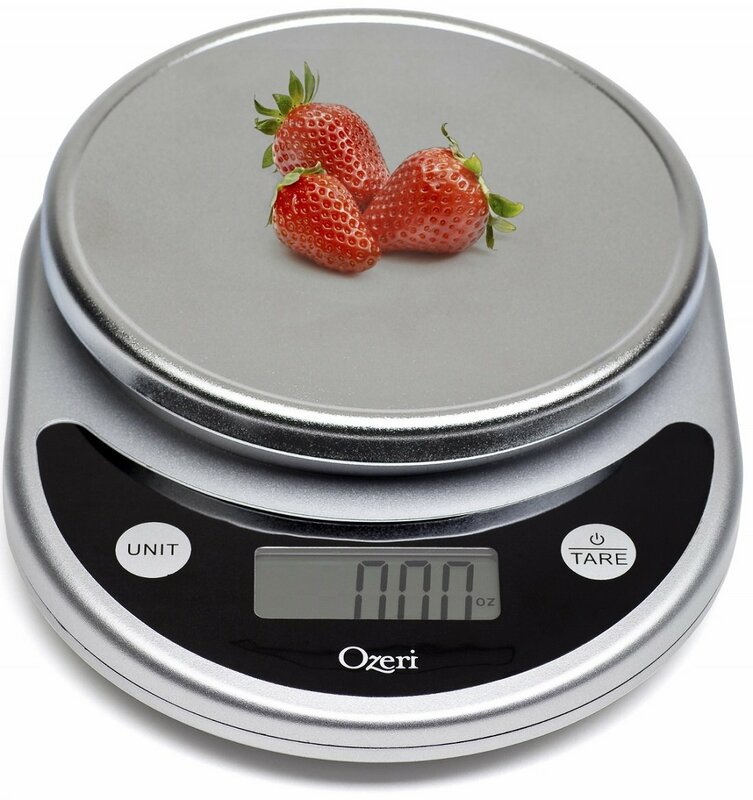 The Ozeri Pronto is one that you don’t have to worry about, as the precision calculation scale along with its maximum weight of 11 pounds will make sure that your food is weighed accurately. In having these two features, you can precisely measure out even the trickiest foods and have the perfect proportion. Another aspect that is tricky is converting your weight of your food. Whether you’re using the metric or imperial system, you can receive accurate readings and ensure that you’re proportioning correctly. The aforementioned feature is one of the main reasons I was intrigued to purchase the Ozeri Pronto, as I couldn’t find one that weighed as much while including conversion capabilities. The conversions aren’t limited, either, as you can convert ounces to grams and pounds to kilograms in case your meal plan has specific guidelines that must be adhered to. Lastly, the audible click confirmation allows you to know the final weigh-in numbers, so you aren’t left guessing if the weight of the food is the final weight. A lot of scales that aren’t digital don’t have an audible click or light that lets the user know, and many other digital scales don’t either. Instead of just a set number, you can multitask until you hear that it’s done weighing. The audible click allows you to know for sure that the food is done being measured. The only disadvantage you may find from this machine is that it runs on batteries, and isn’t a scale that you plug in. However, there are benefits to this “disadvantage,” as the batteries used are AAA batteries, and you won’t have any plugs and cords clogging up your counter space! The sleek and chrome design is aesthetically pleasing from the design, all the way down to how it operates. Kick those pesky cords to the side and never worry about your cords becoming tangled when you store it away. 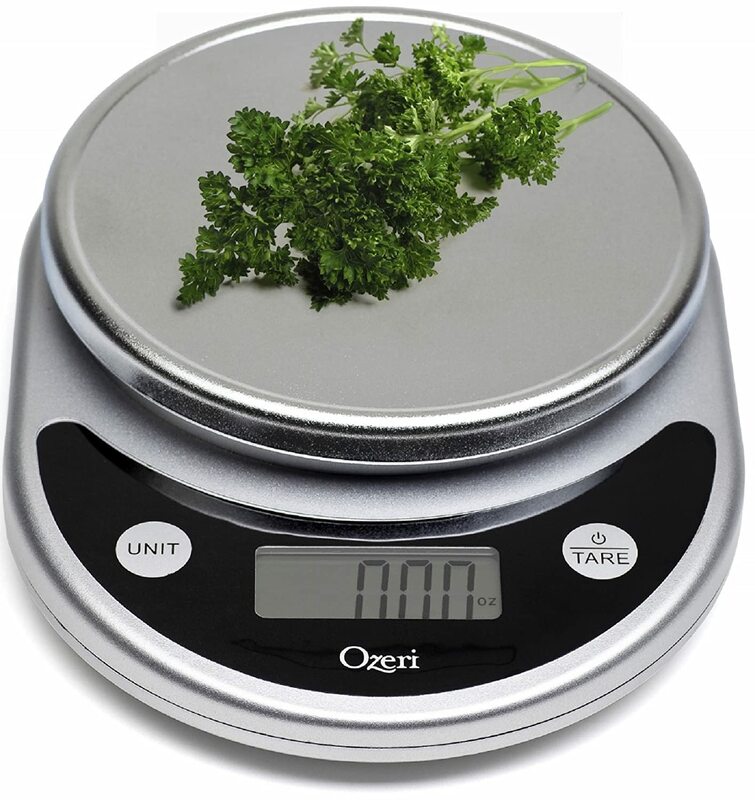 Overall, the Ozeri Pronto is a machine that I’d recommend for those on a budget and for those who want a safe and accurate measurement reading. I personally love this scale and have given away all others that I had stored away. I’m always on the hunt for new kitchen appliances, and this is one that I know I won’t be giving away or looking to replace anytime soon.